Two hundred years ago, Sir Stamford Raffles established the modern settlement of Singapore with the intent of seeing it become ‘a great commercial emporium and fulcrum’. But by the time independence was achieved in 1965, the city faced daunting problems of housing shortage, slums and high unemployment. Since then, Singapore has become one of the richest countries on earth, providing, in Sir Peter Hall’s words, ‘perhaps the most extraordinary case of economic development in the history of the world’. The story of Singapore’s remarkable achievements in the first half century after its independence is now widely known. 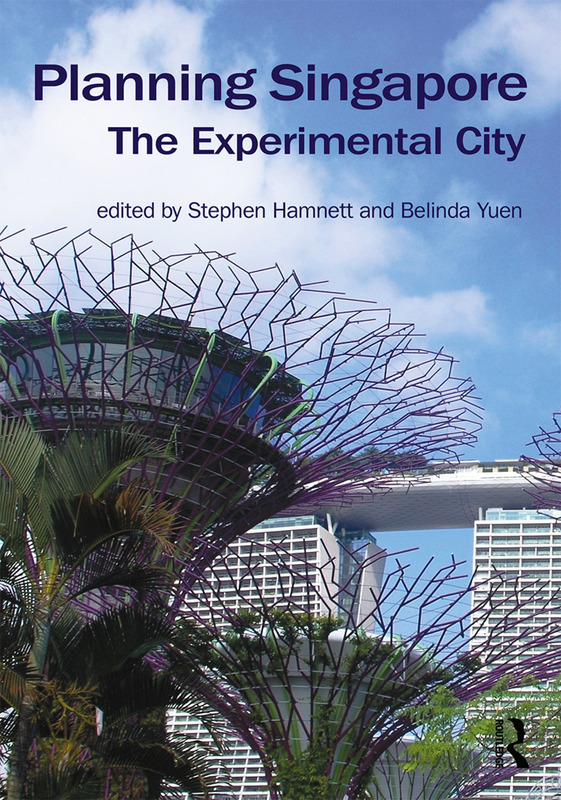 In Planning Singapore: The Experimental City, Stephen Hamnett and Belinda Yuen have brought together a set of chapters on Singapore’s planning achievements, aspirations and challenges, which are united in their focus on what might happen next in the planning of the island-state. Chapters range over Singapore’s planning system, innovation and future economy, housing, biodiversity, water and waste, climate change, transport, and the potential transferability of Singapore’s planning knowledge. A key question is whether the planning approaches, which have served Singapore so well until now, will suffice to meet the emerging challenges of a changing global economy, demographic shifts, new technologies and the existential threat of climate change. Singapore as a global city is becoming more unequal and more diverse. This has the potential to weaken the social compact which has largely existed since independence and to undermine the social resilience undoubtedly needed to cope with the shocks and disruptions of the twenty-first century. The book concludes, however, that Singapore is better-placed than most to respond to the challenges which it will certainly face thanks to its outstanding systems of planning and implementation, a proven capacity to experiment and a highly developed ability to adapt quickly, purposefully and pragmatically to changing circumstances. Planning Singapore: The Experimental City is a comprehensive expert analysis of contemporary Singapore by experienced urbanists. A democratic authoritarian government has guided Singapore’s urban development with exceptional success, transitioning Singapore into a significant global city. It has successfully provided housing to a large proportion of the population. In parallel the Singapore economy has grown steadily with the support of government firms and foreign multinationals. Challenges include a slowly emerging gig economy, growing social inequality and a need for enhanced opportunity for creativity and innovation. The authors have provided a readable, nuanced, assessment of a well planned global hub. Now two centuries since Raffles planted the British flag on the site of the ancient kingdom of Temasek, we know for certain that his instincts about the island’s potential greatness were correct. The experts that Hamnett and Yuen have assembled in Planning Singapore: The Experimental City enable us to understand how Singapore’s unique and highly integrated planning and governance approach, with its experimental qualities, will guide its future. Value Capture: A Model for Others? Stephen Hamnett is Emeritus Professor of Urban and Regional Planning at the University of South Australia and a Commissioner of the Environment, Resources and Development Court of South Australia. Belinda Yuen is Professorial Research Fellow and Research Director at the Lee Kuan Yew Centre for Innovative Cities, Singapore University of Technology and Design.